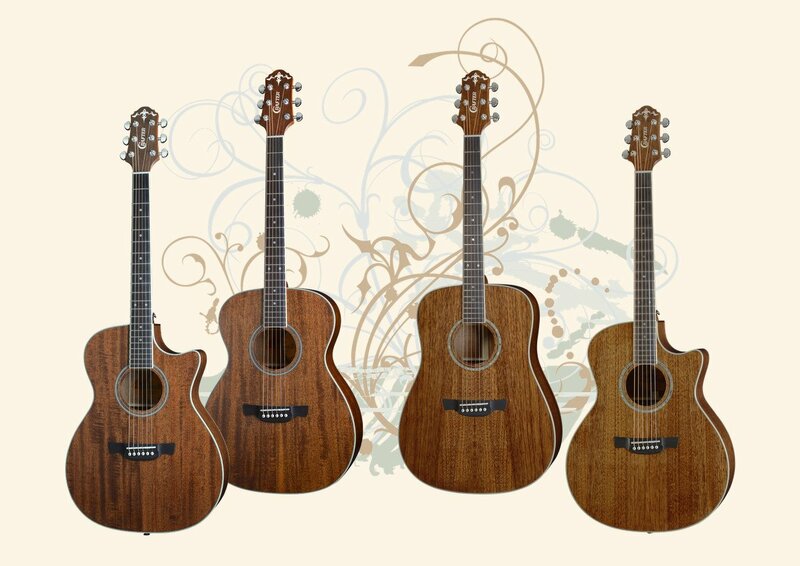 The MAHO TOP Series by Crafter features mahogany body guitars with solid tops. The distinctive deep mahogany makes these Crafter models particularly eye catching and are complimented by their warm playing tone. Available in grand auditorium, orchestra and dreadnought bodies. Scroll down for the Acoustic Guitar (USA) review of the TE6 MH/BR model.